Make sure your dog's rabies and routine vaccination status is up to date! You may have read or heard in the news about a 'virus' coming from the North of England, causing internal bleeding. We have had clients call very alarmed about this. In fact, it would seem that this is the Parvo Virus. We can only presume that vaccination has lapsed or not been done in the dog population at large in other areas of the country. So, remember that the Parvo Virus lives on the pavements for 6 months! 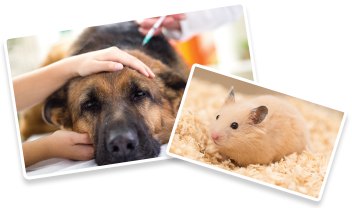 Make sure you are up to date with your dog's booster/vaccinations. If your pup is only just having vaccinations DO NOT take out into parks etc until ONE WEEK after the 2nd vaccination. For anyone planning to take their pet on holiday, keep mindful that depending on Brexit and what happens on March 29th everything may change! advice is to keep up to date with your rabies vaccine. 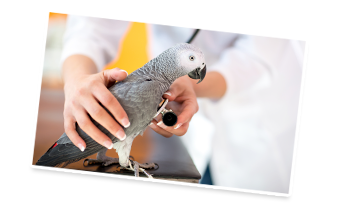 Should pet passports suddenly no longer be valid, you may need additional documentation and blood tests. As yet we have NO IDEA exactly what the situation will be until we are advised by DEFRA. Allpets will send you reminders by text/email and after a month has elapsed - letters. But make sure that you check your Vaccination card or phone us to confirm!